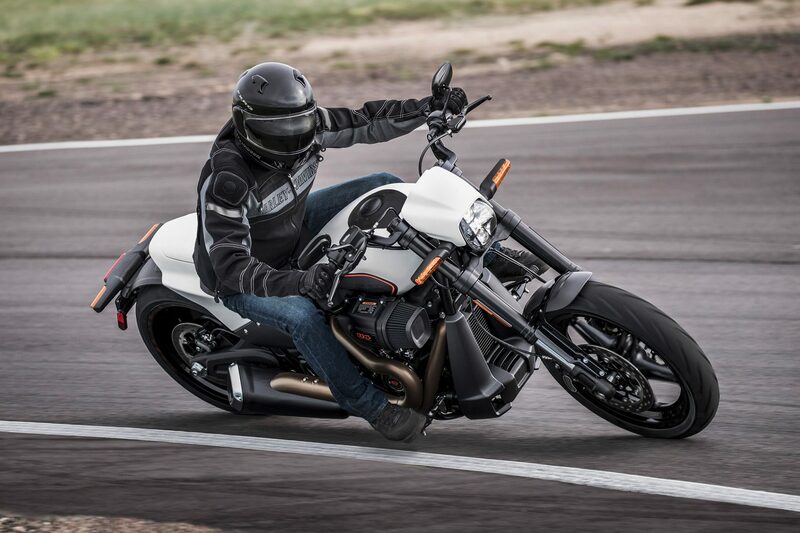 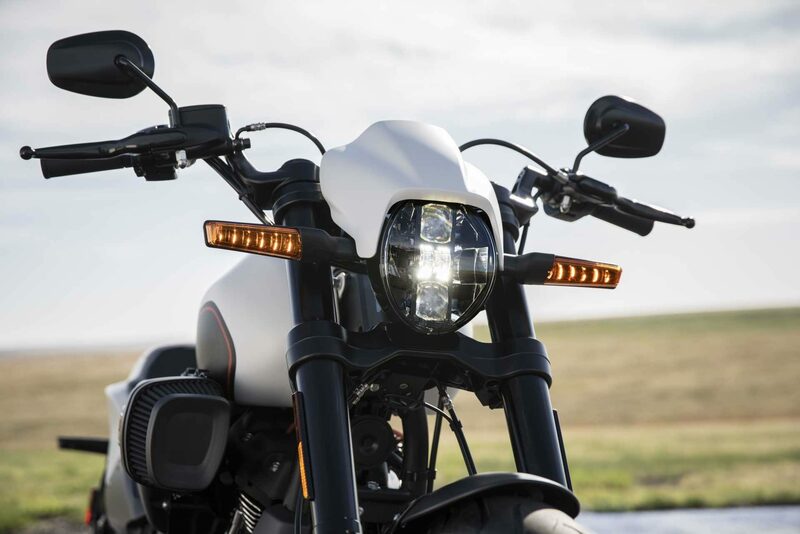 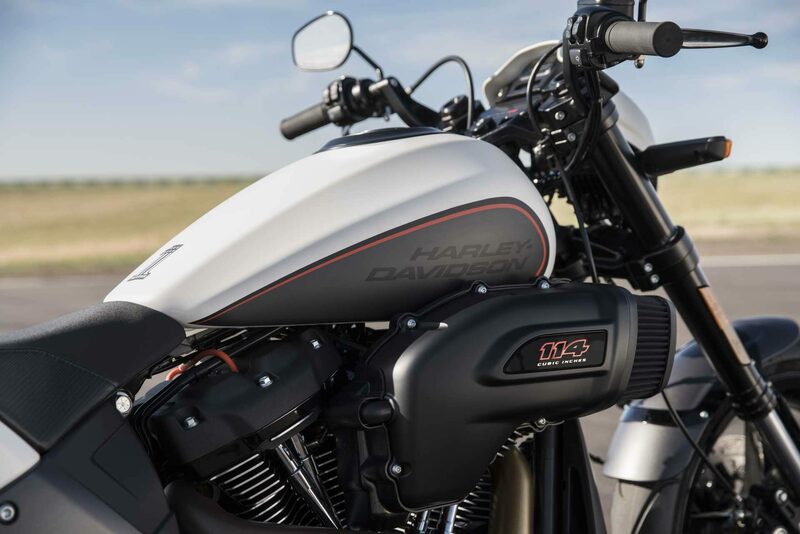 For the new model year, Harley-Davidson will feature a new FXDR 114 power cruiser, Family Touring, Trike and CVO optimizations, and a new infotainment system. 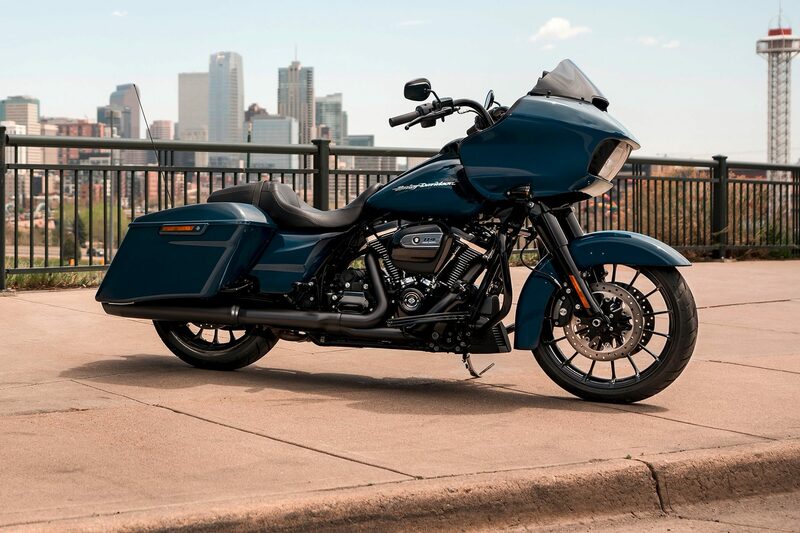 Just a few weeks after announcing new product offerings in the future, as well as developing the high-capacity touring and cruiser models, the Motor Company is now introducing a range of new products for the 2019 model year. 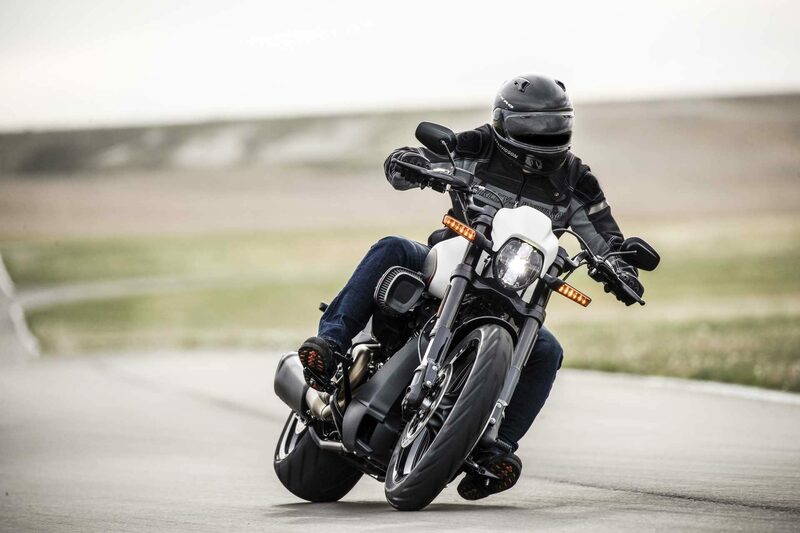 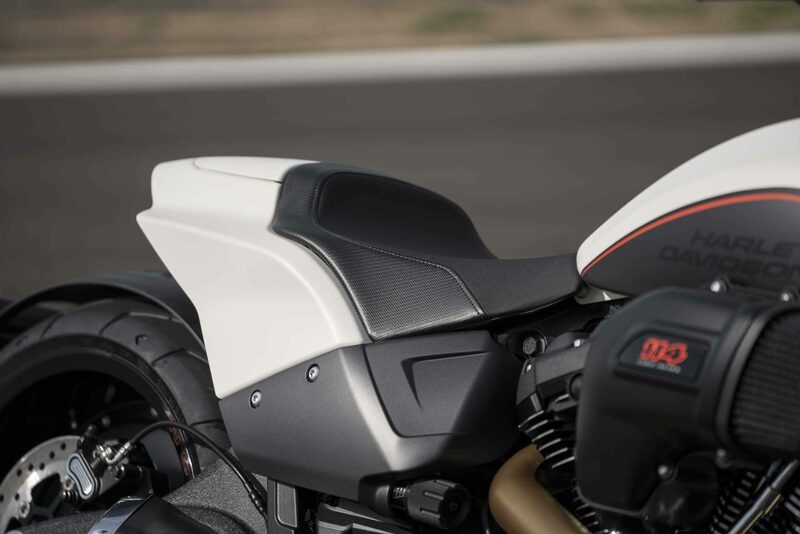 The new power cruiser reveals its character in design features that do not deny a descent from the drag strip – from the handlebar cover to the short tail and the solo seat. 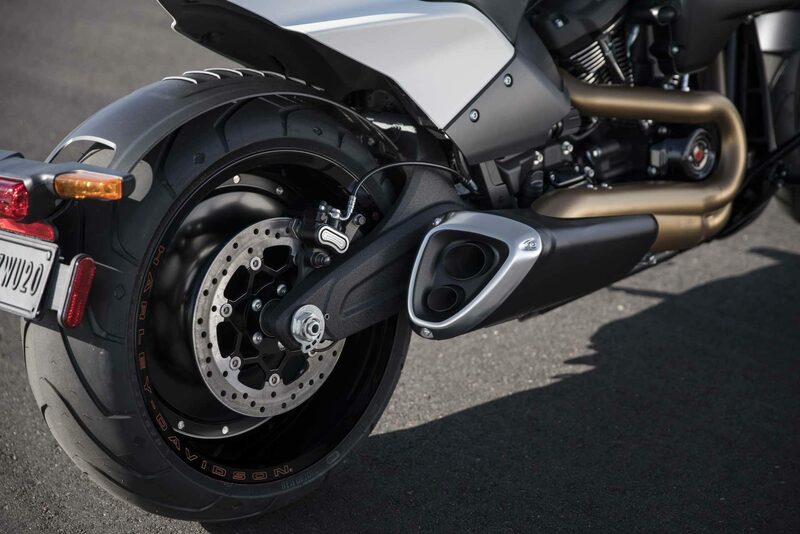 The 240mm wide rear tire is covered by a close-fitting fender, which cushions with the rear wheel and is barely noticeable when the FXDR 114 is in motion. 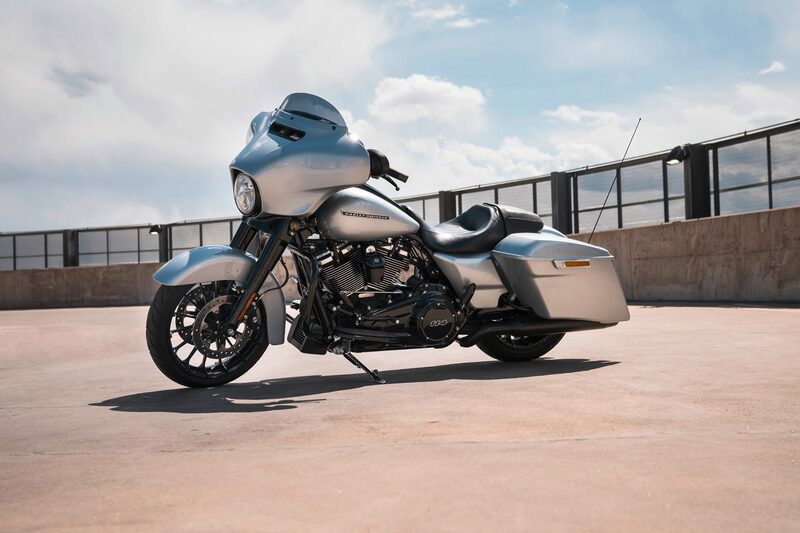 The FXDR 114 is equipped with the most powerful engine currently available in the Softail suspension: the Milwaukee-Eight 114 V-Twin, which develops a maximum torque of 160 Nm at 3,500 rpm. 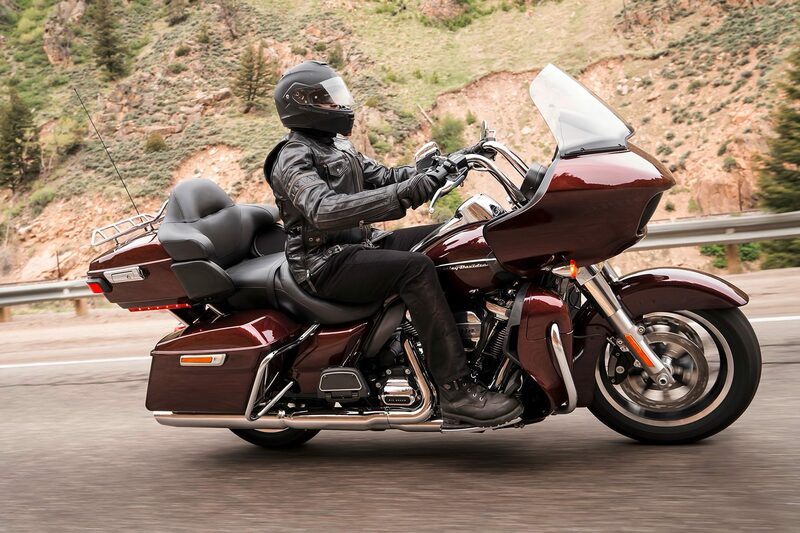 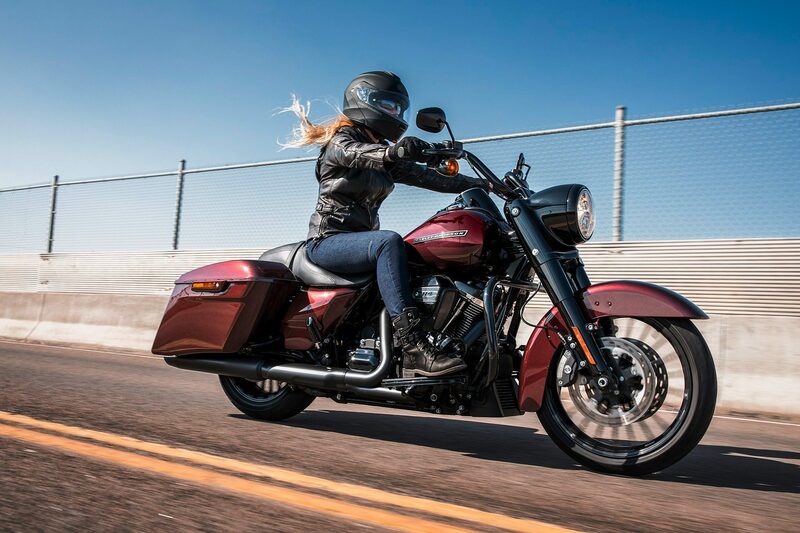 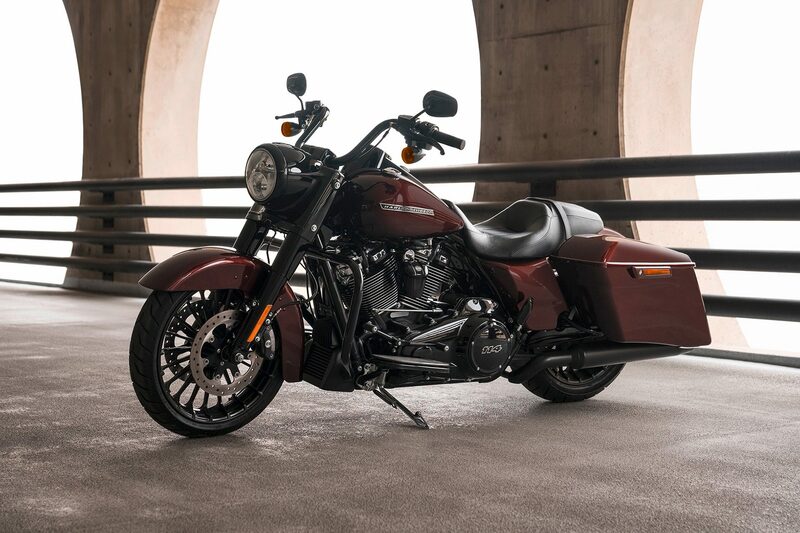 The torsionally rigid Softail frame and perfectly matched chassis components reward dedicated driving style on winding secondary roads as well as in dense city traffic with delightful maneuverability. 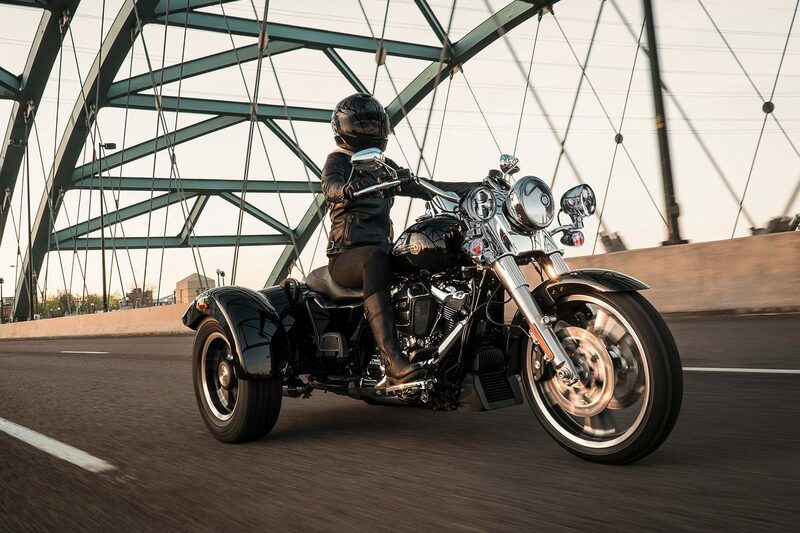 The FXDR 114 also offers more tilt freedom than any other Softail model. 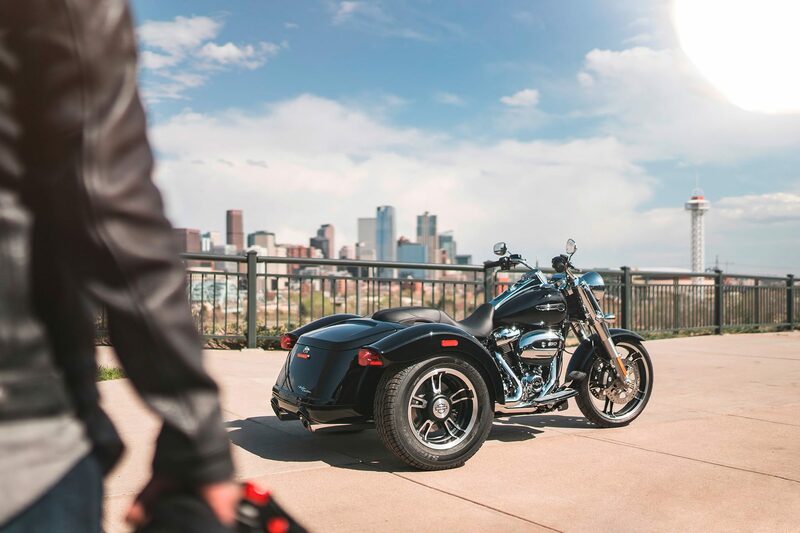 Harley-Davidson continues to develop its Touring and Trike models, implementing technologies that optimize performance, function and style. 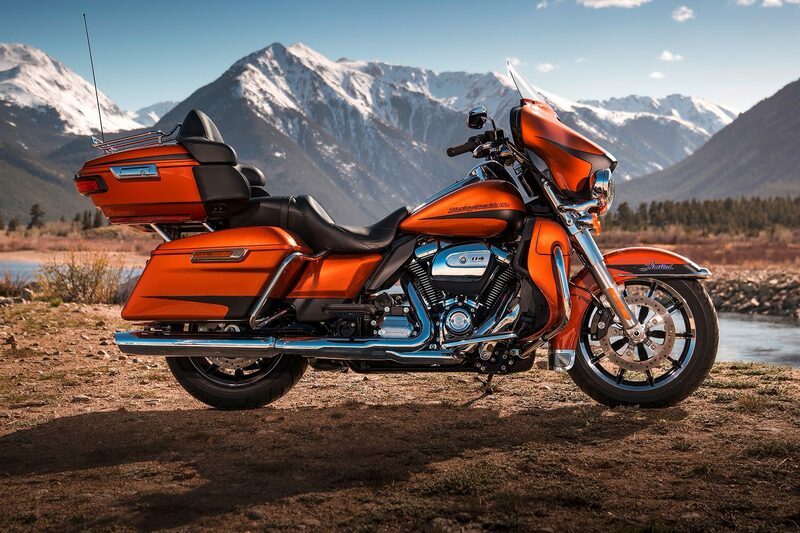 The Ultra Limited, Ultra Limited Low, Road Glide Ultra, Road Glide Special, Street Glide Special, Road King Special and the Trikes can look forward to two new features: They will in future boast with the Milwaukee-Eight 114 engine with up to 164 Nm of torque , They are standard with the new boom! 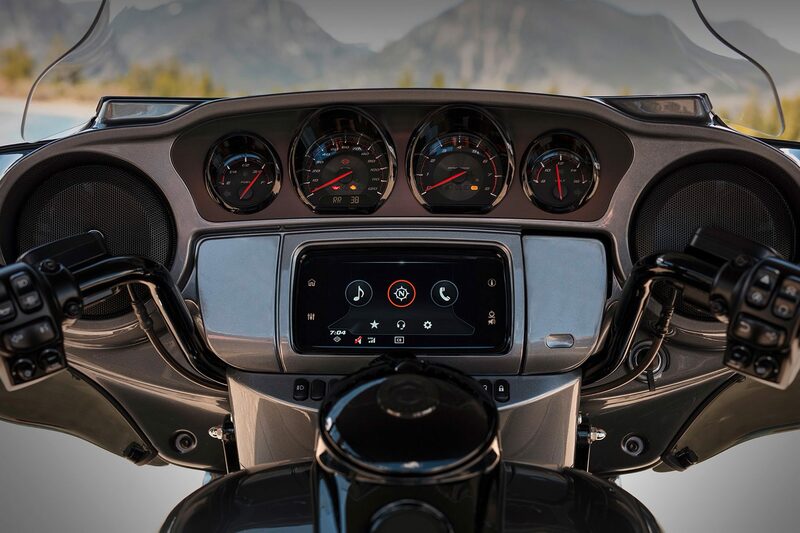 Box GTS equipped Infotainment System. 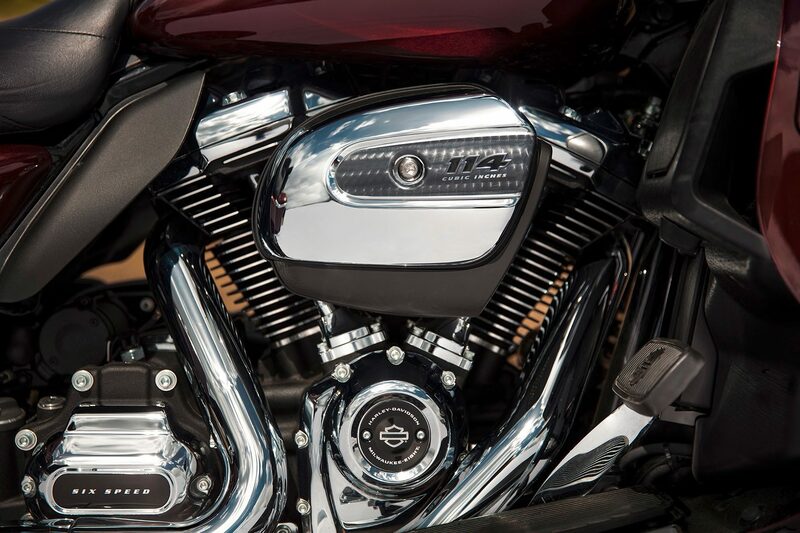 It is even better anti-glare, higher contrast, better readable and has more storage space and an easier menu. 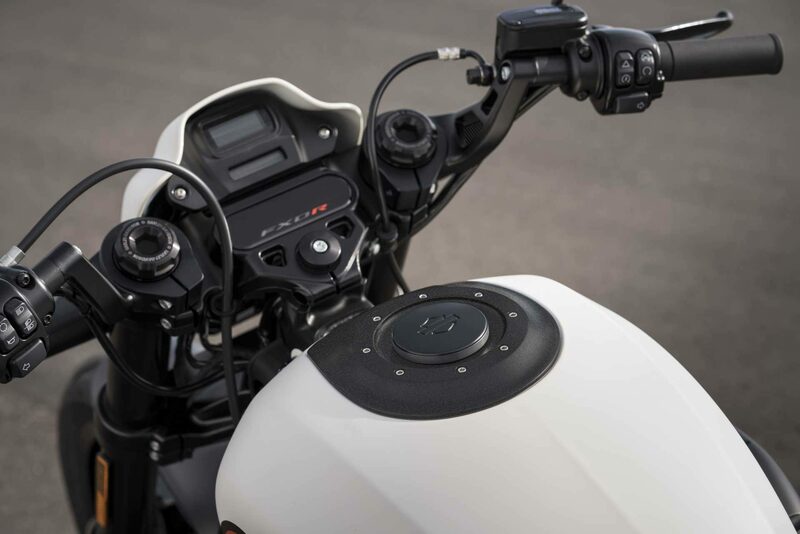 The home screen is reduced to the areas of music, navigation and telephony. 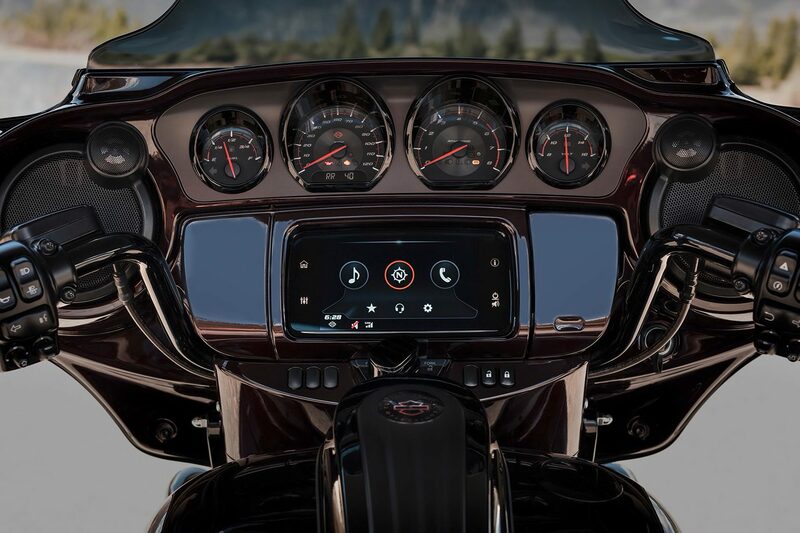 In addition, the system is now compatible with Apple CarPlay. 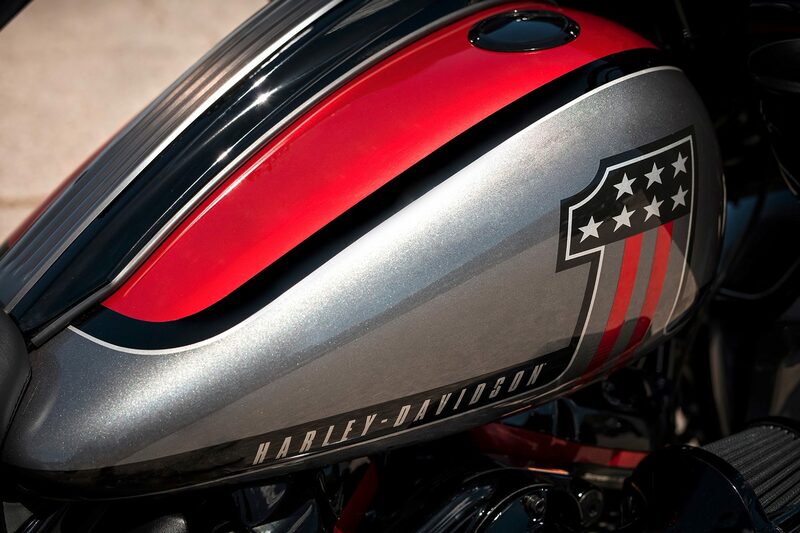 All tourers also present themselves in new, exciting paint designs. 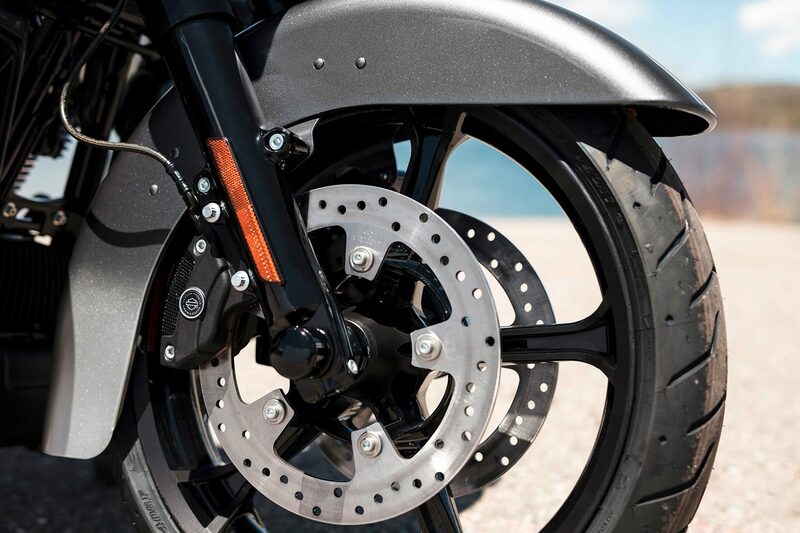 The 2019 trike models Tri Glide Ultra and Freewheeler are equipped with a new Reflex Linked Brake compound brake system with electronically coupled front and rear brakes. 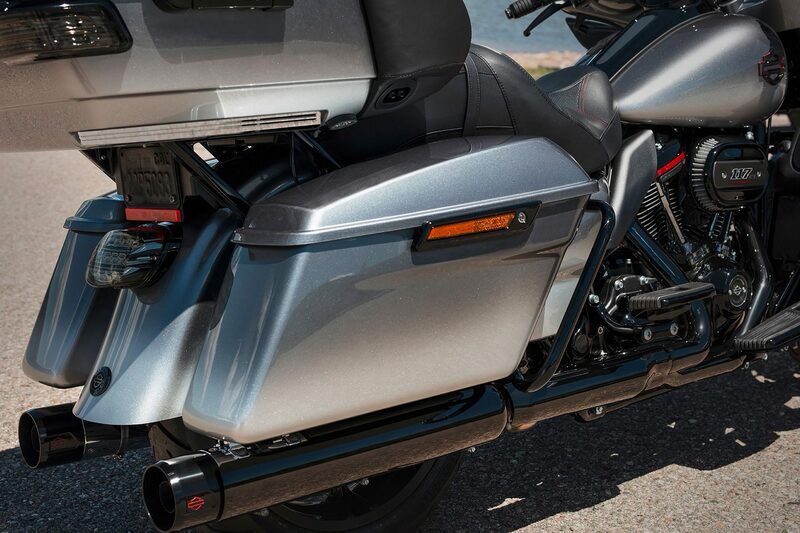 The system features ABS, traction control system TCS and Drag-Torque Slip Control System DSCS. 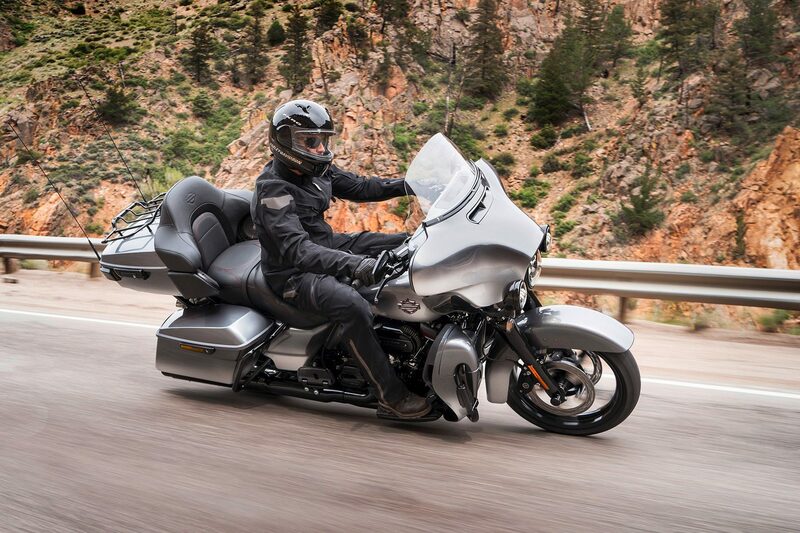 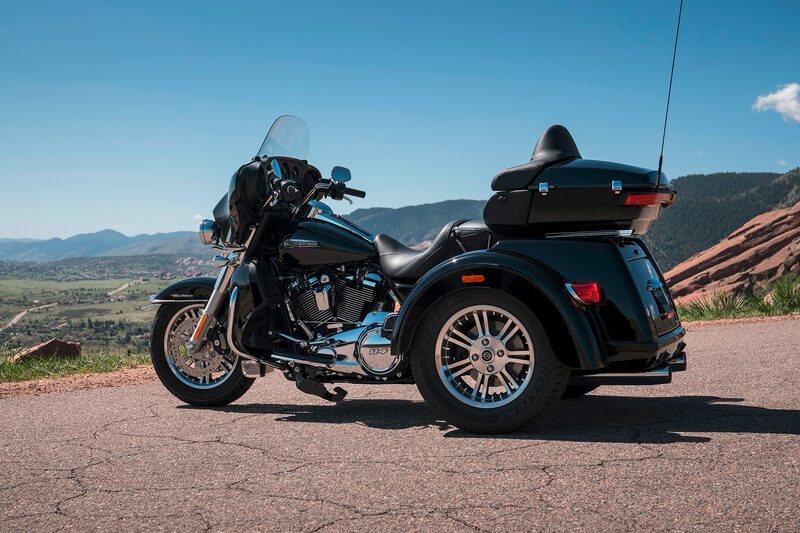 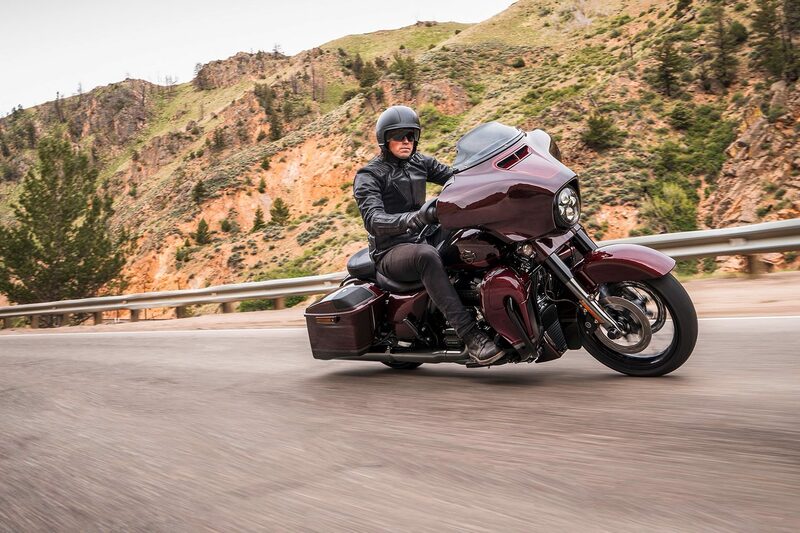 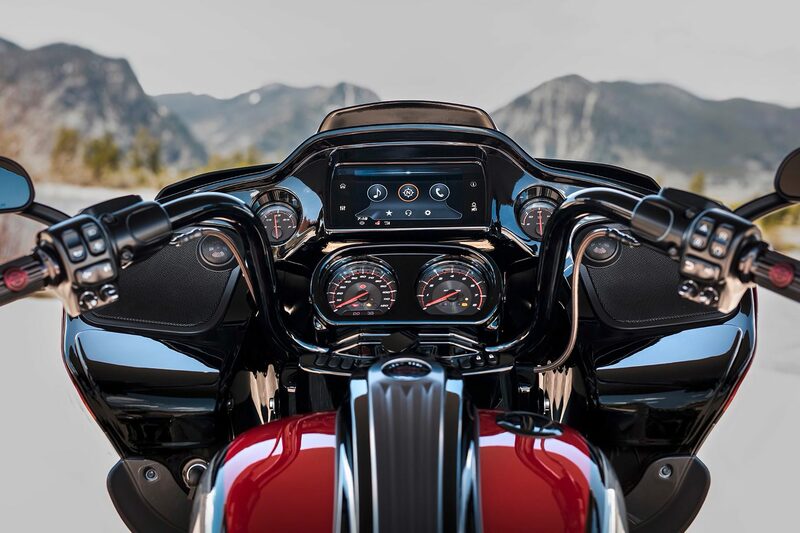 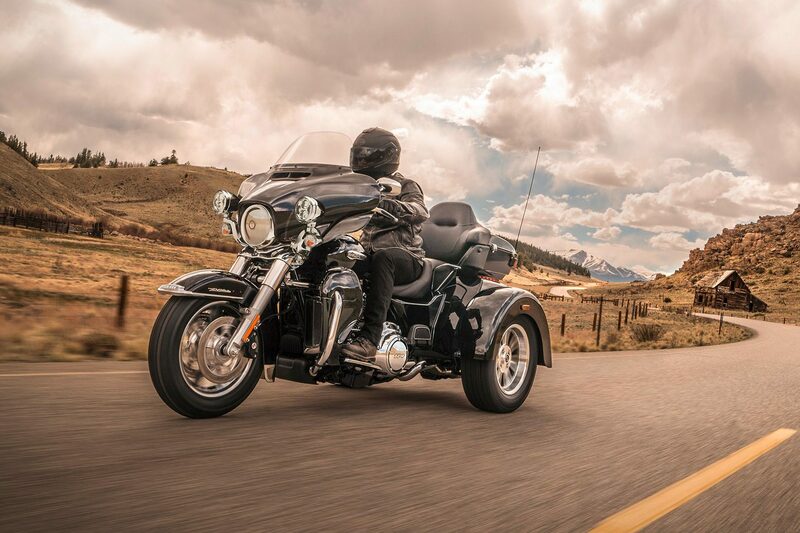 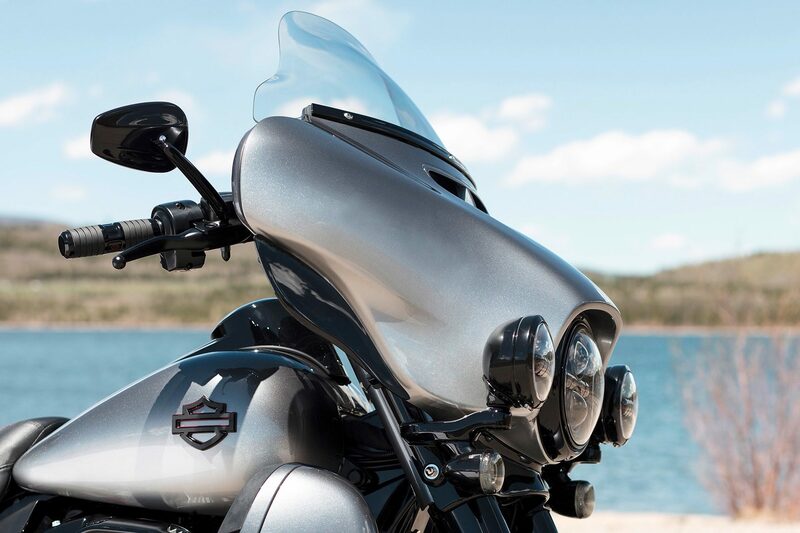 In addition, new suspension components will be used on the front and rear in 2019 in the trikes Tri Glide Ultra and Freewheeler, leading to further optimization of driving behavior. 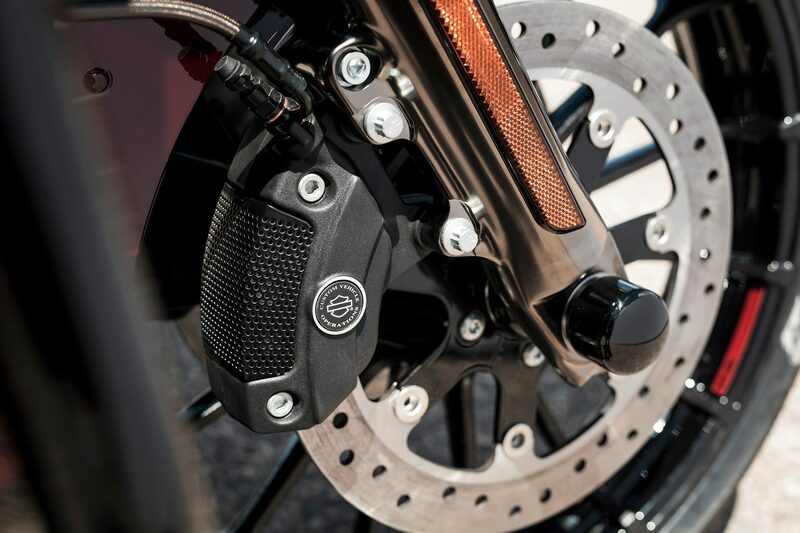 The spring preload of the new struts is adjusted manually with a rotary knob. 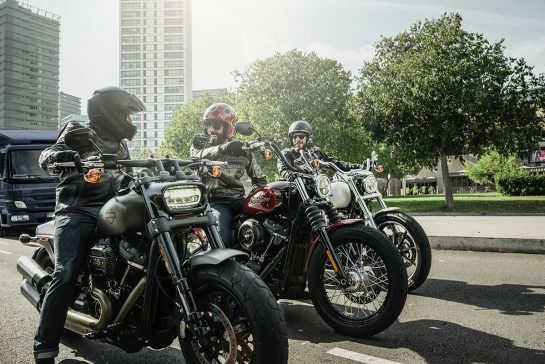 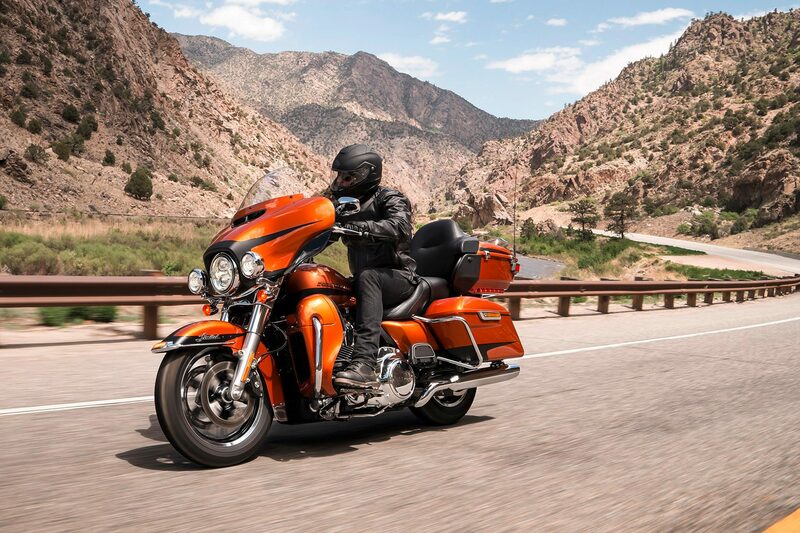 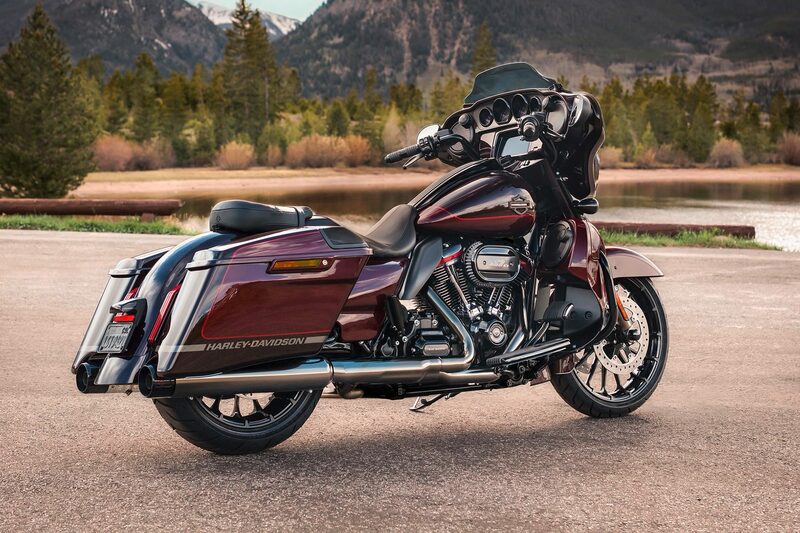 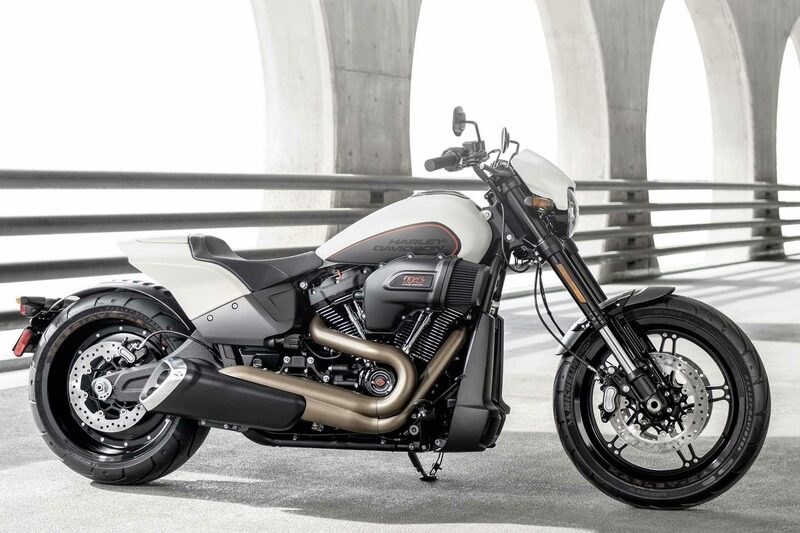 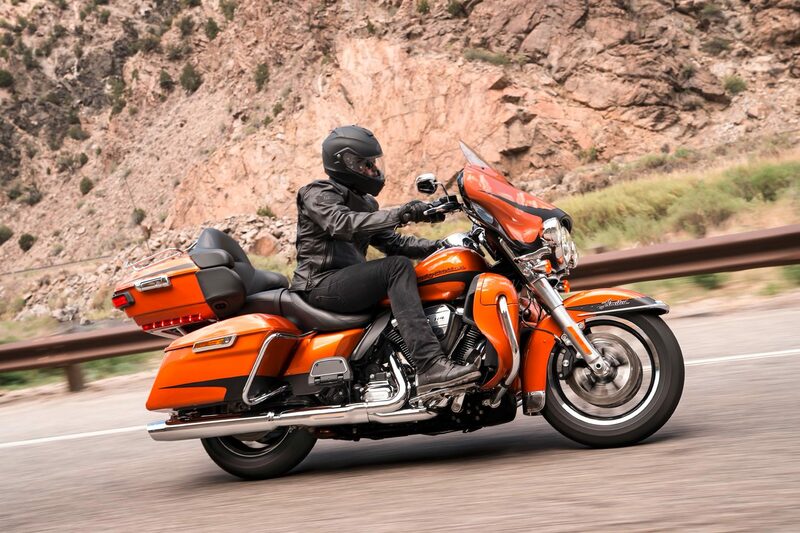 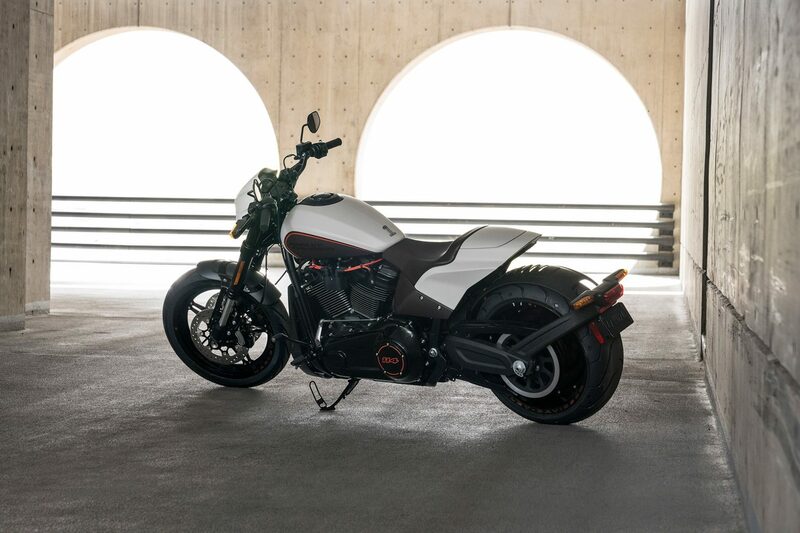 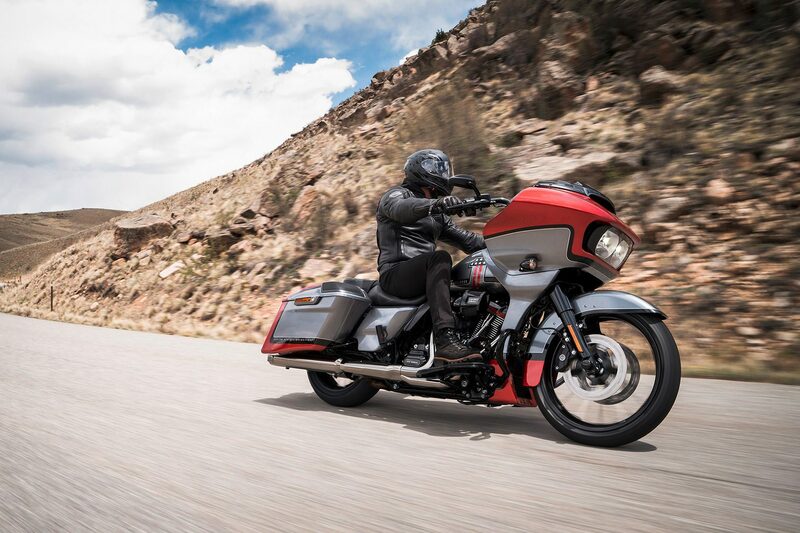 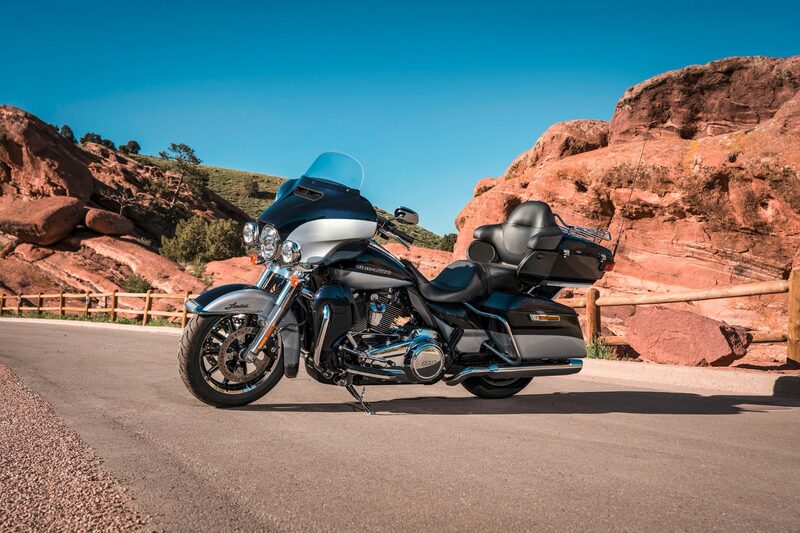 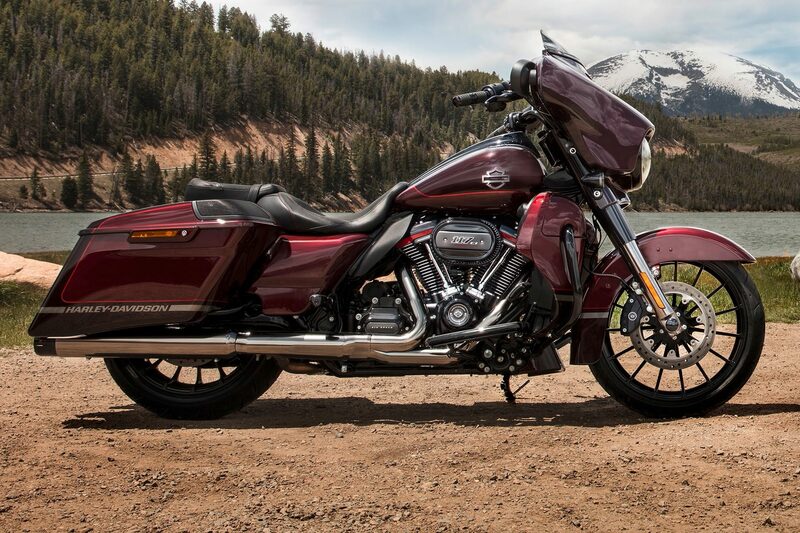 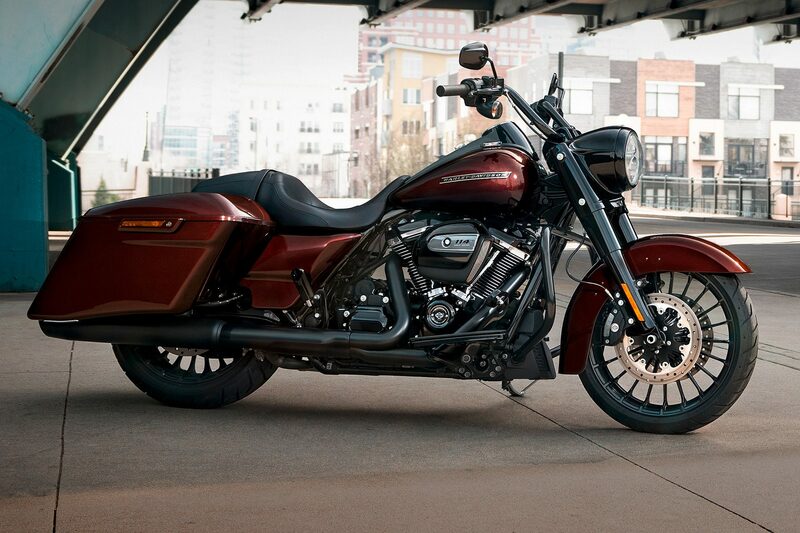 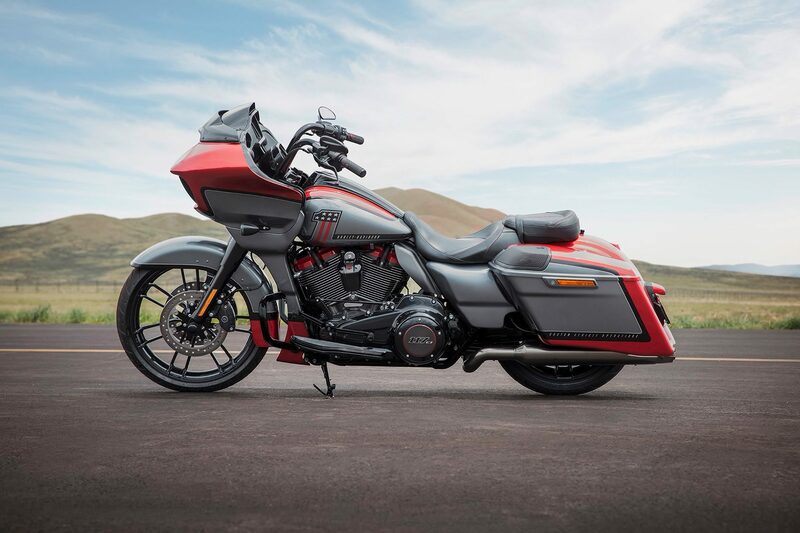 Selected Harley-Davidson Touring models as well as the two Trikes will be powered by the Milwaukee-Eight 114 engine in 2019, which is the 1,868 cc (114 cui) engine that is currently the largest-capacity engine currently offered by Harley-Davidson in mass-produced models. 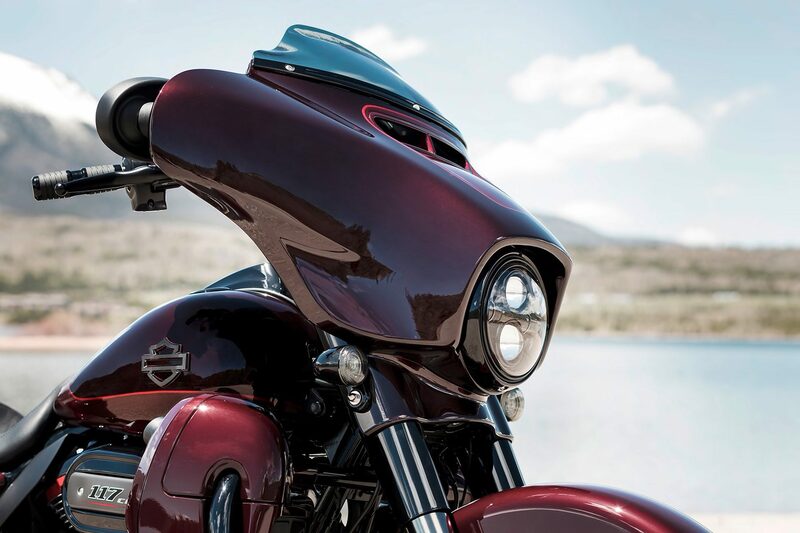 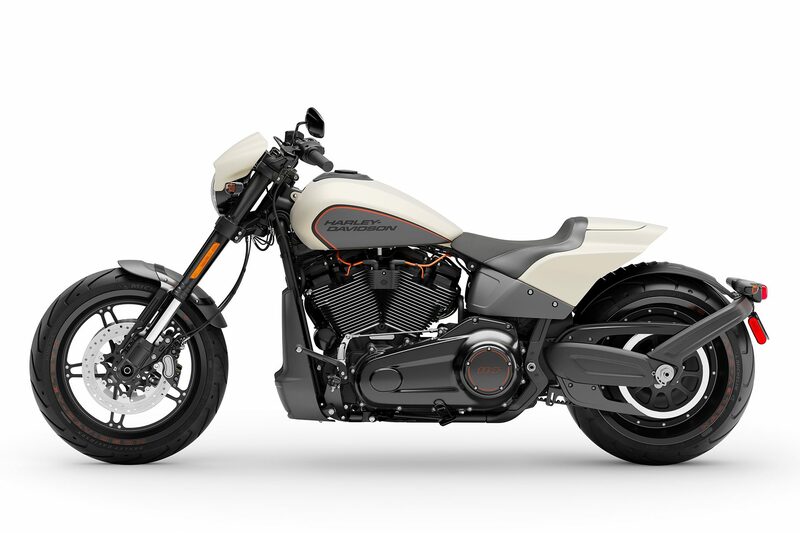 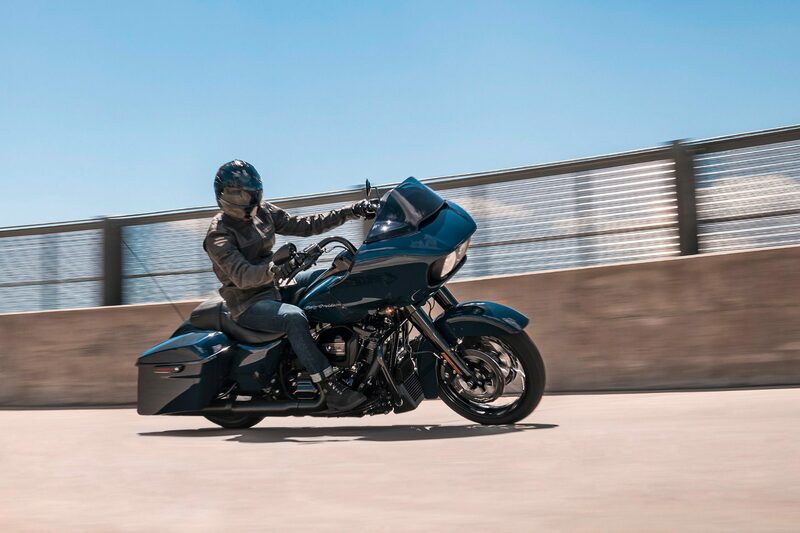 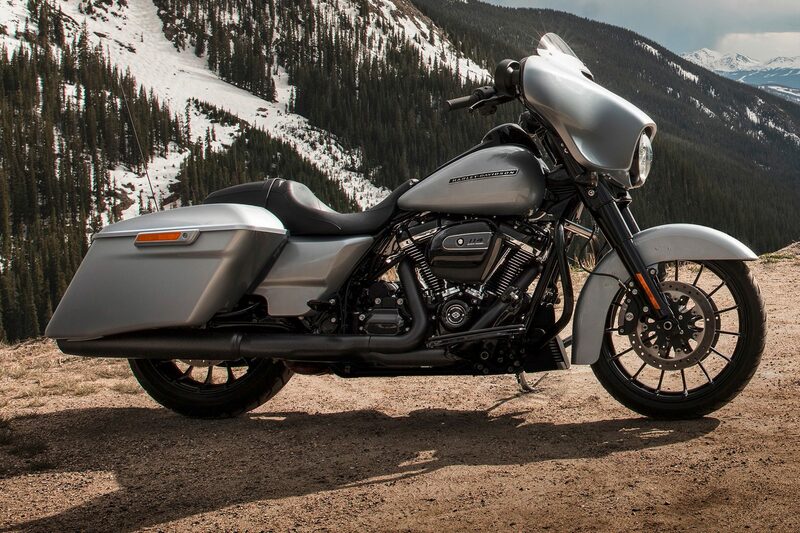 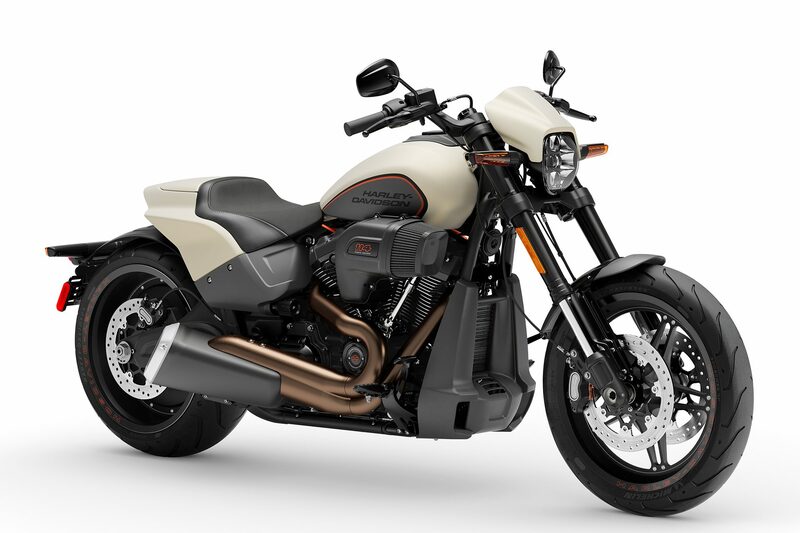 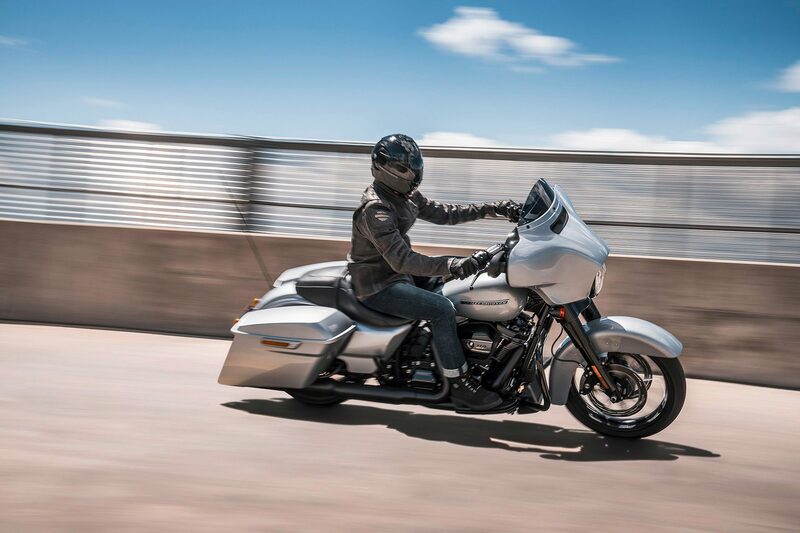 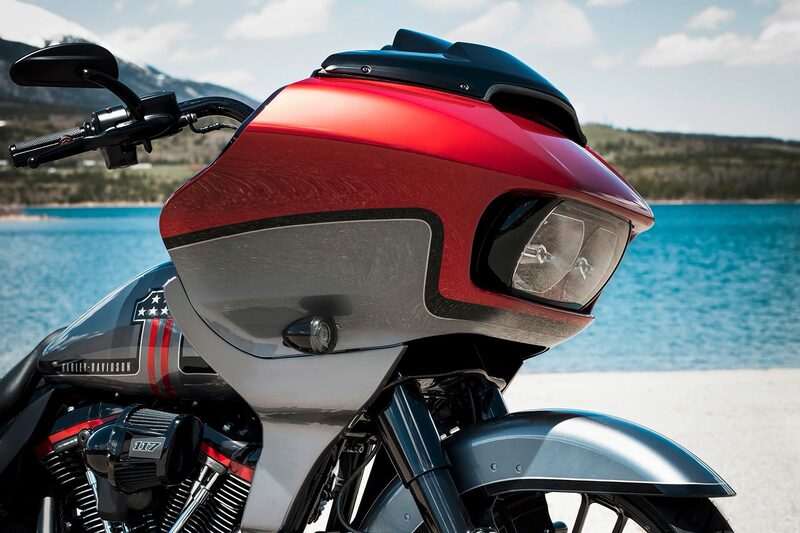 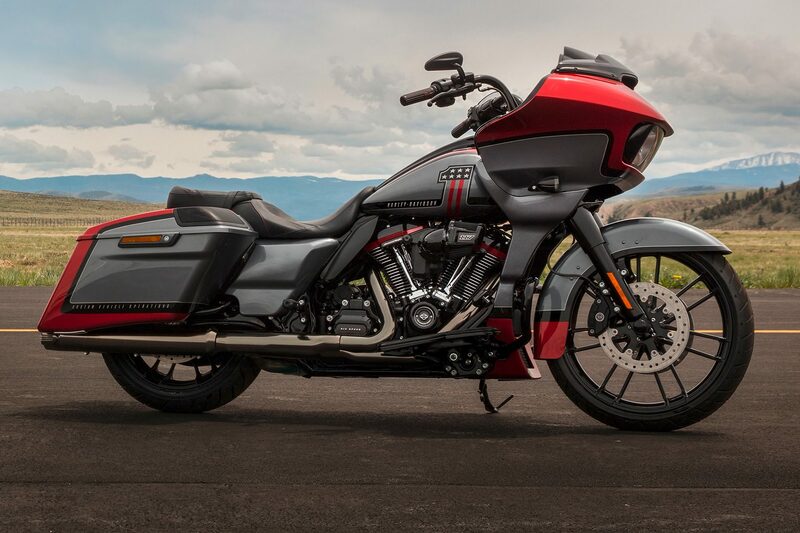 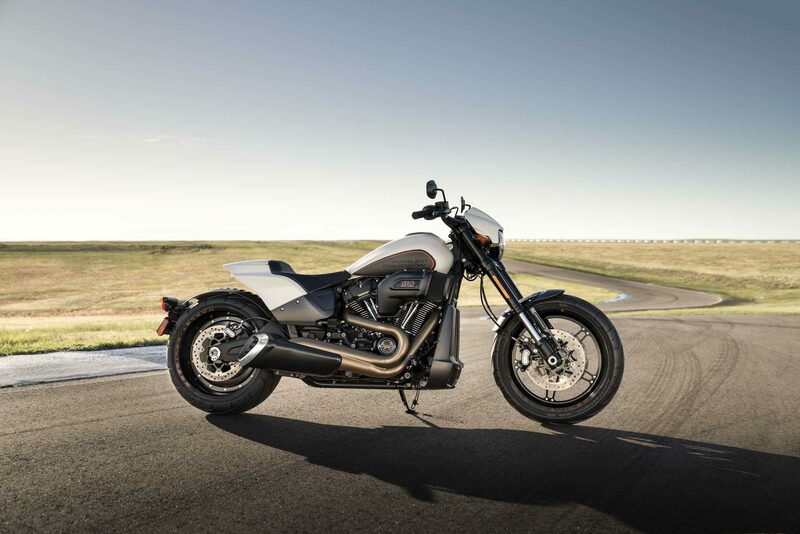 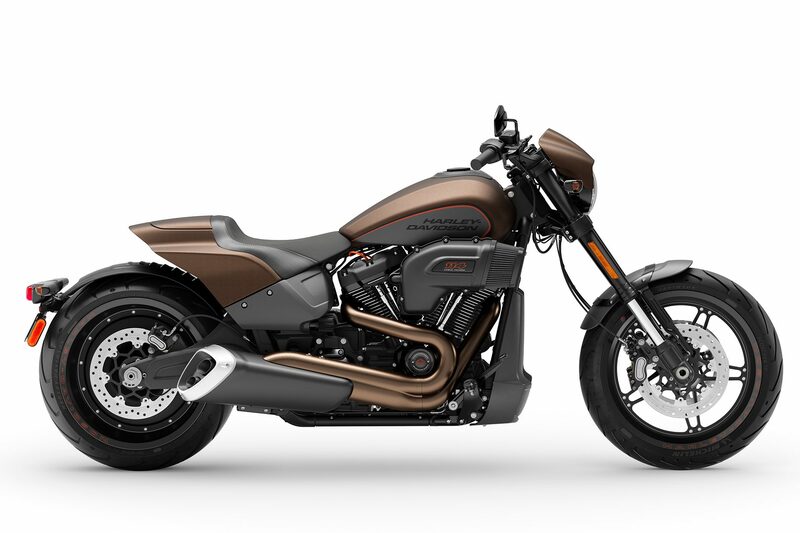 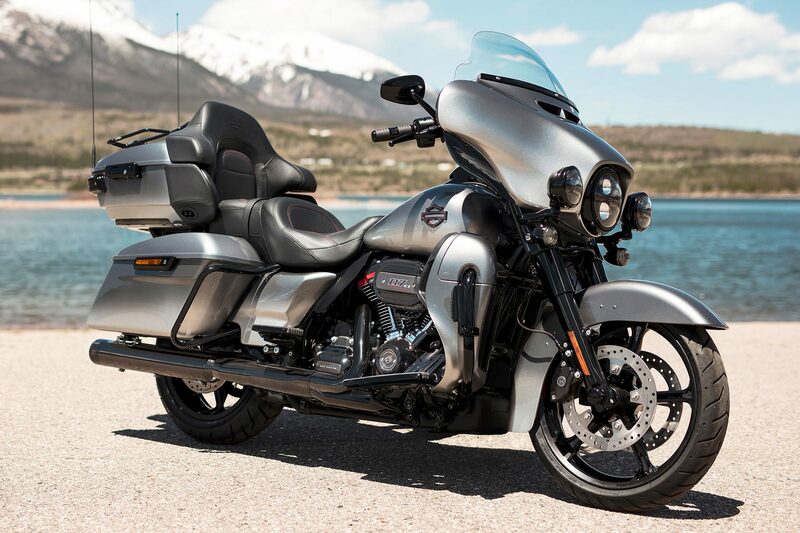 The three limited-edition 2019 Harley-Davidson Custom Vehicle Operations (CVO) models feature a fascinating finish, advanced technology, exclusive components and a great attention to detail. 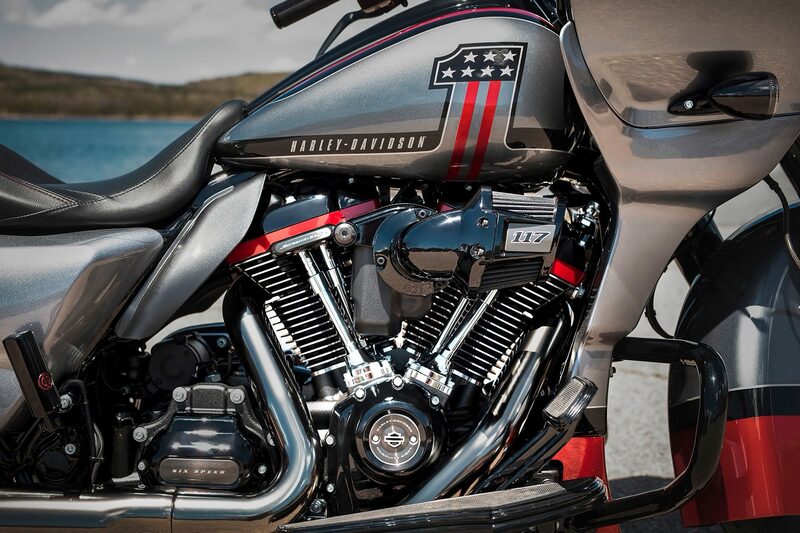 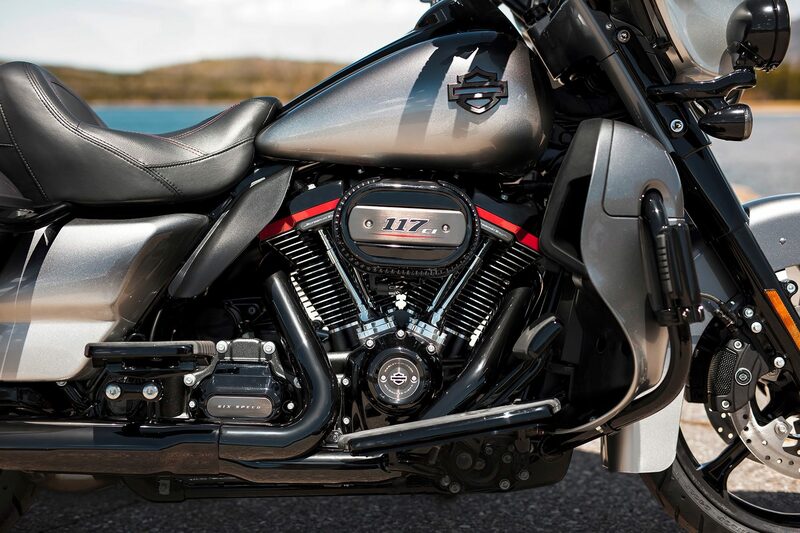 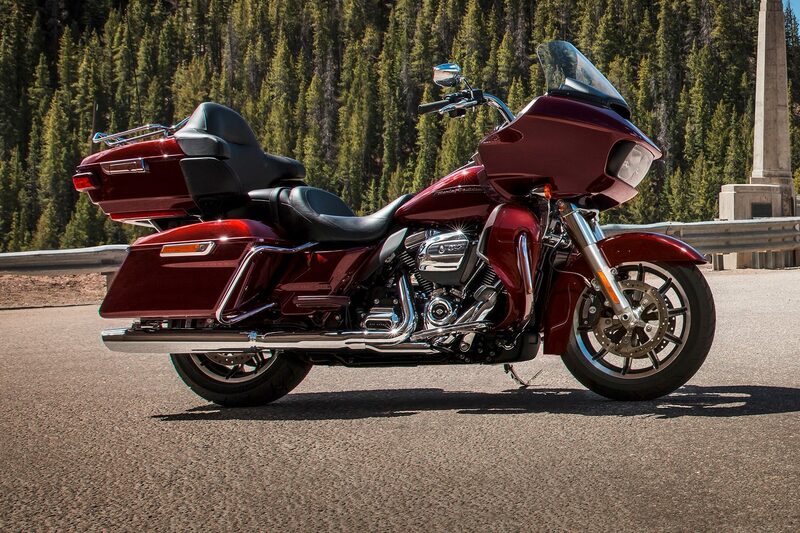 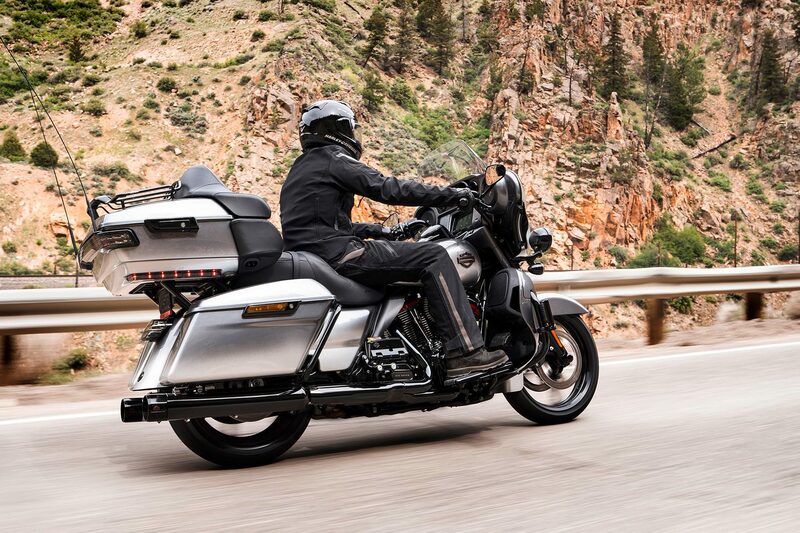 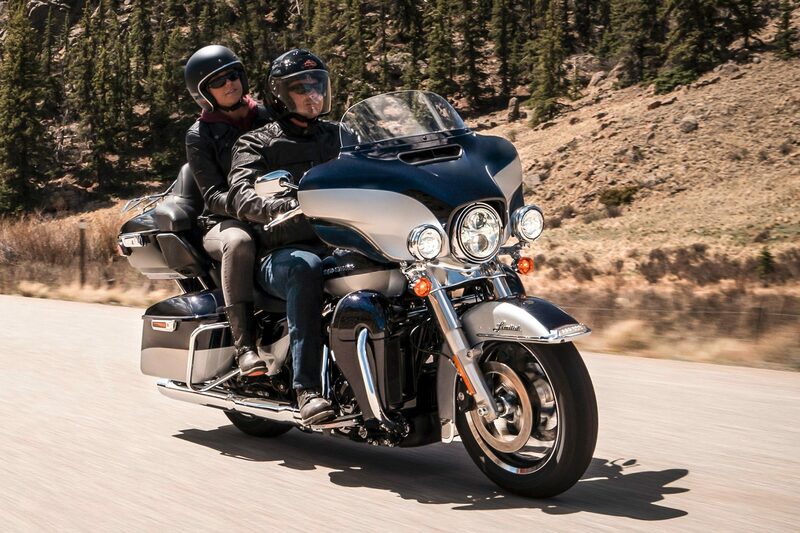 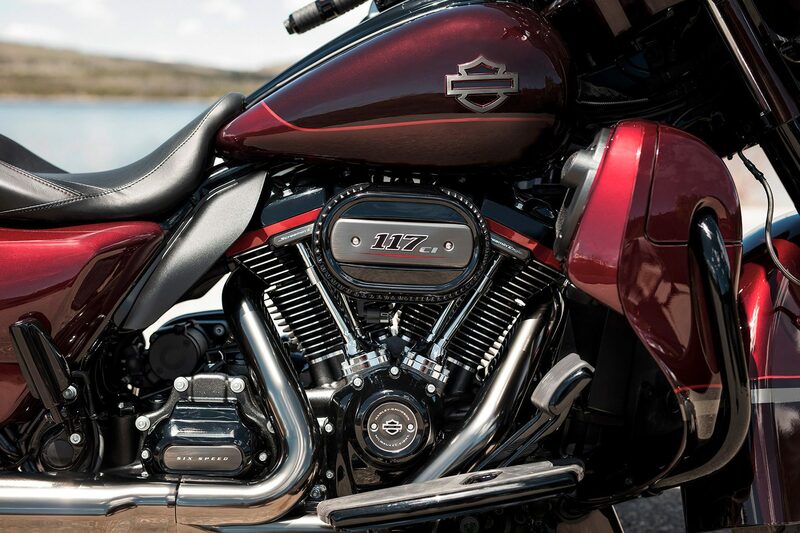 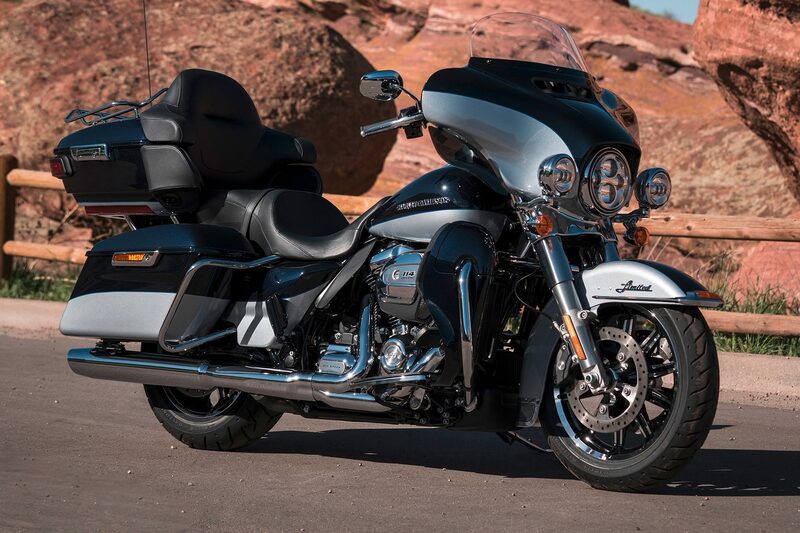 The powerful Milwaukee Eight 117 engine is reserved exclusively for the CVO models. 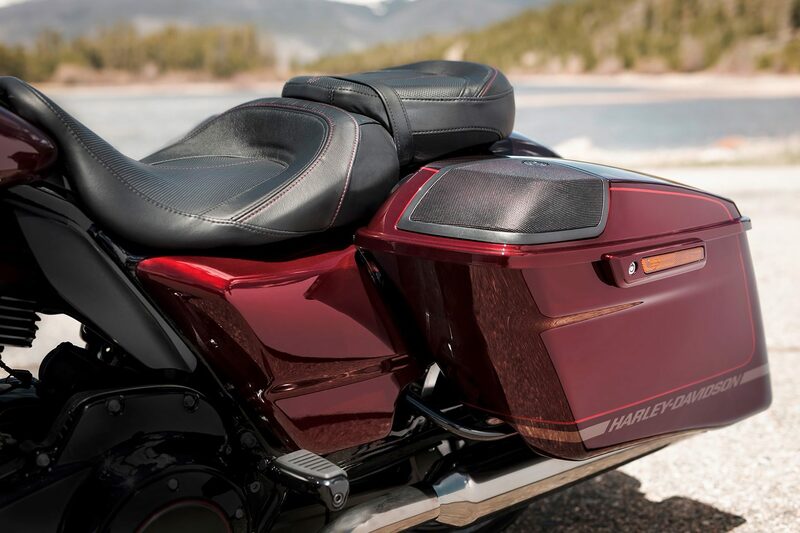 In addition, these types are standard with the new boom! 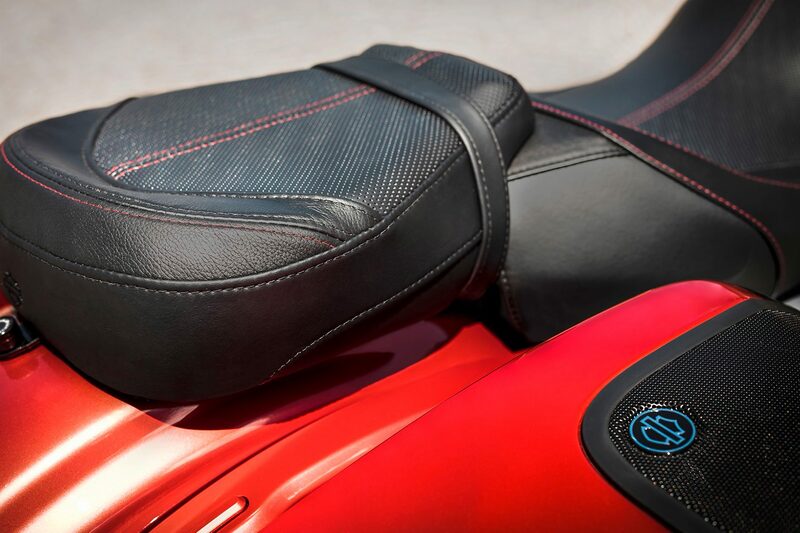 Box GTS infotainment system equipped. 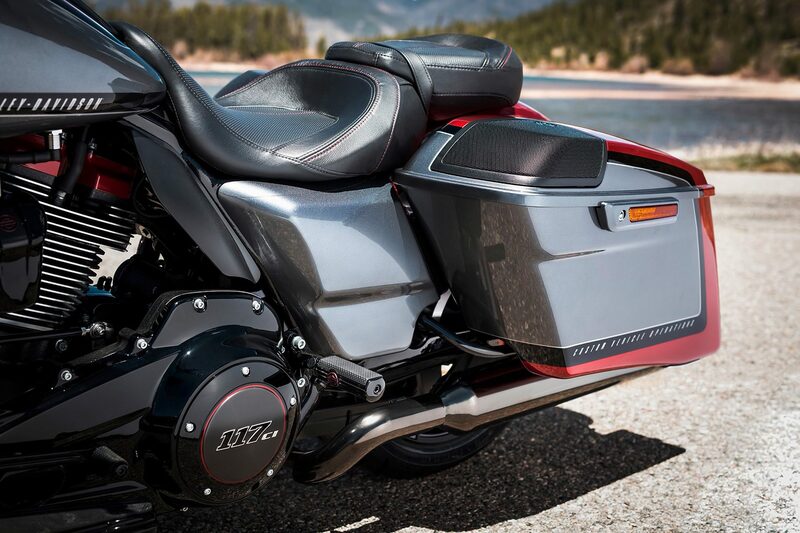 An extravagant custom Bagger with Hot-Rod performance and a superior premium audio system. 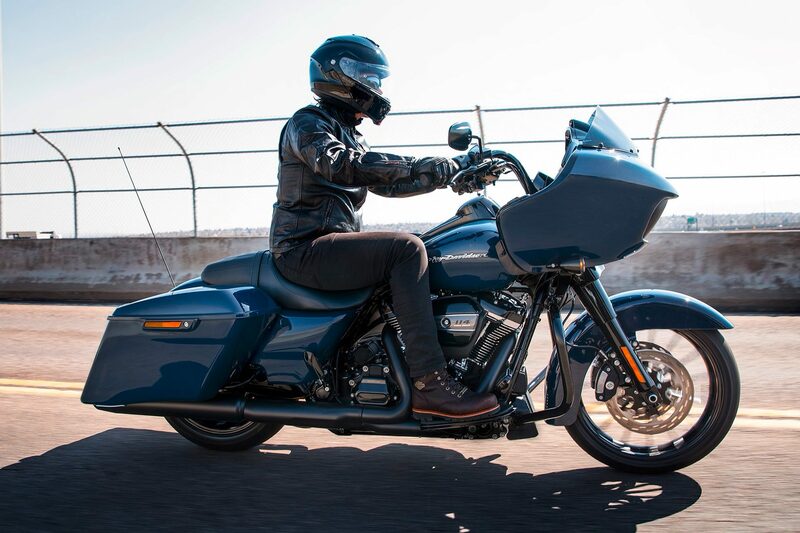 Striking style in combination with optimal long-distance comfort in a powerful motorbike that is well-equipped even for endless roads.